Summer camp in the heart of Muskoka. Activities include horseback riding, rock climbing, water skiing, rocketry, archery, and many others. Cutting-edge Direct Instruction and academic support centre in Toronto offering 1-to-1 individual support for students K-12, innovative group classes and standardized test preparation for SSAT, SAT, and ACT. 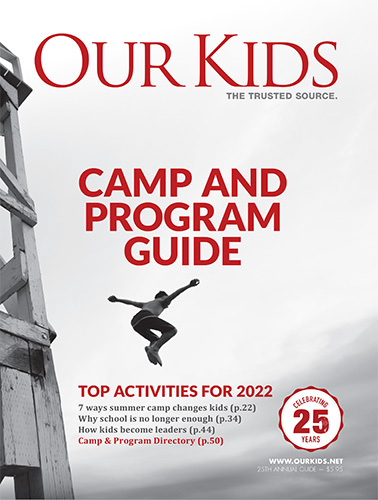 A co-ed, overnight summer camp affiliated with both Rotary and YMCA. For kids aged 6 to 16. Photography & Video Camps for kids (8-12) & teens (13-18). Campers learn from award-winning photographers & apply their new skills on daily field trips. Give your child the BEST SUMMER EVER! With more than 30 years of success, Brain Power is an innovative leader in enrichment education for bright and gifted students. Brain Power is a transformative model for what gifted education should be about in the GTA. PAVAS day camps are fun filled days of Art, Music, Drama and Dance. Explore and expand your creativity and performing skills while making friends for life. Grow, Inspire, Belong. We are a not-for-profit overnight camp on a private 260 acre waterfront property. We offer kayaking, rock climbing, arts and crafts, new lodging cabins, and most importantly a safe, supportive inclusive environment. Located on a private 100 acre farm property that includes a forest, pond, clean running creek, sports fields, play grounds, in-ground swimming pools, wall climbing gym, animal barn, apple orchard , corn maze and more. The largest soccer summer camp program in Canada offers a well organized program that mixes instruction, training and fun. Toronto's premier camps run by University Professors, TDSB Teachers, and extraordinary Musicians! (PhD, DMA). Our Rock Band camp instructor performed for over 10 000 people when his band opened for KISS in Mexico City! Founded in 1924, Oconto is a traditional girls overnight camp located on the beautiful shores of Eagle Lake north of Kingston, Ontario. Over 20 activities are offered on 80 acres of land and 2km of shoreline. A traditional outdoor day camp, with fun activities, friends, exciting field trips and outstanding memories! Now offering March Break, Summer & Winter Break Equestrian Camp at our new second location in Georgetown! These camps provide a barrier-free outdoor experience that promotes personal growth and fosters independence for campers with disabilities. Disability camps can help campers gain confidence in their abilities and develop latent skills. For example, camps for amputee kids can have a wide range of sports activities like volleyball and basketball, as well as activities like wall climbing and horseback riding. These camps might have field trips or nature activities like hiking too. Children with mental disabilities also enjoy summer camp. Camps assisting with children who are mentally disabled need counselors or workers able to handle the associated frustrations and learning challenges due to disabilities. Some camps listed here may likely welcome children with this kind of disability. There are also camps that specialize in children with learning disabilities. When looking for a day camp for a disabled child, it is essential to find out what types of disabilities the camp is designed for. Contact the camps above to learn exactly how they will help your child have a great summer, winter, or March break!